Male square insert bits for pipe plugs from Apex® can be used with power tools, hand tools and pneumatic tools. 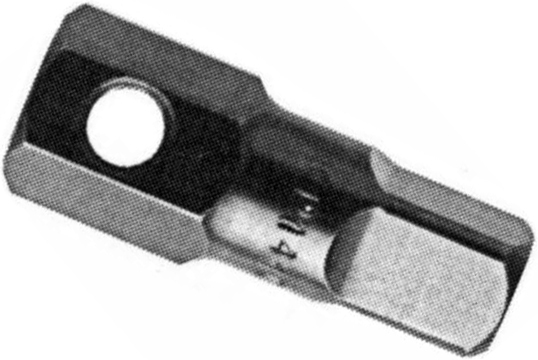 Omega Technologies offers a variety of Pipe Plug bits. Each Pipe Plug insert bit is manufactured to the tightest tolerances in the industry, most are even tighter than licensing agreement requirements. Apex® Pipe Plug bits are popular in the aerospace and automotive industries, where there are applications requiring high clamping loads, reduced head heights, and access is restricted. Apex® bits meet the most stringent government and military specifications. Apex® quality begins with select raw materials. Only carefully chosen, high grade tool steel is used. Apex® Pipe Plug bits are made in the USA with the highest quality steel ensuring a long life in the toughest workplace environments. Omega Technologies offers quantity discounts on Apex® Pipe Plug bits!